Video slider in WordPress is one of the best tactics to attract your audience and insist them to take action on your site. But, do you know how to make a video slider? If your answer is no then this is the correct place to know it. This is the session, a tutorial to give you a tour on how to get a simple responsive video slider to your WordPress site. 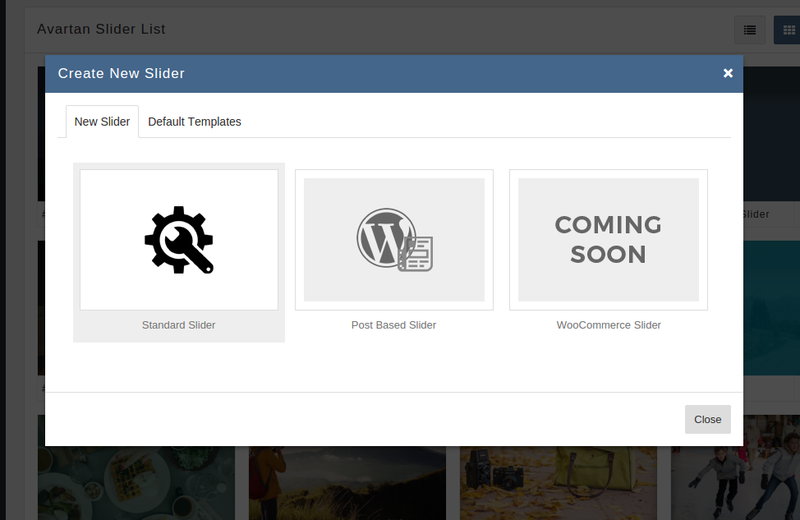 We all know that there is no option to create or insert slider in your website directly through WordPress. Hence, you need to install a plugin such as Avartan Slider that will offer you the functionality to add attractive sliders and also responsive video slider to your WordPress website. Our tests reports on different sliders says, Avartan slider does not slow down your website unlike other sliders such as Revolution slider or Nevo slider. It takes least loading time and is super fast for the homepage of your website. Apart, it is responsive to any mobile devices and any screen size. And, certainly, it supports multiple file formats, such as videos, images, texts and YouTube and Vimeo videos too. Okay, then let’s get started! 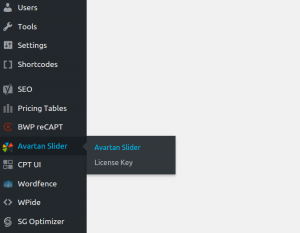 Firstly, you need to install Avartan Slider Lite from WordPress and install it to activate on your website. After activation, simply go to Avartan Slider from Dashboard menu > Create New Slider option on the top right corner of the screen above all the default sliders. Once you click on the Create New Slider button, a pop-up will appear that will ask you whether you want to make a standard slider or Product Slider. Click on the Standard Slider and ‘Add Name‘ of the slider and check out all the settings that are visible on the page. As default, all the settings have been optimized automatically with your theme. Click on ‘Save Settings’ and you will be directed to Slider Edit page. 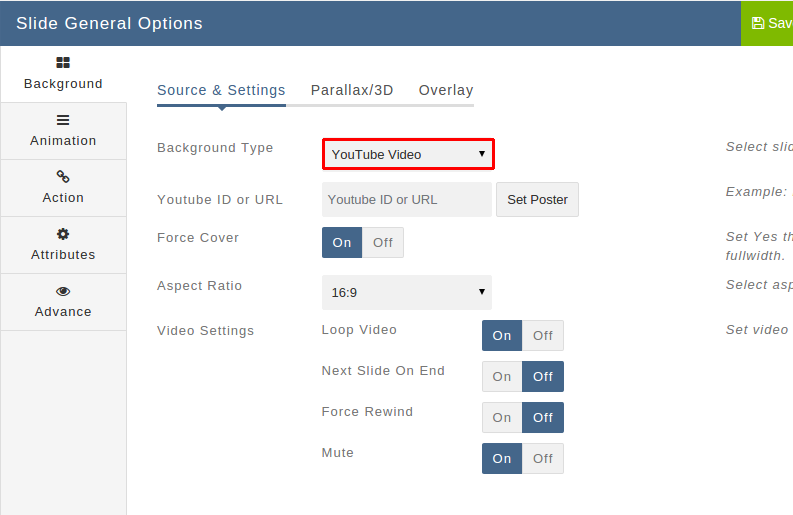 Step 3, In ‘Background Type‘, select HTML5 Video or preferably YouTube Video. Upload your video or paste the YouTube link in the given section. You can also ‘Set Poster‘ for the slider that will be visible until video starts. This step is really simple. You just need to click on the ‘Add Avartan Slider’ that will be available on any page or post. Then, select the slider you created on the pages/posts where you want to show it. The shortcode will be visible in the visual editor. Click ‘Update’. That’s all! 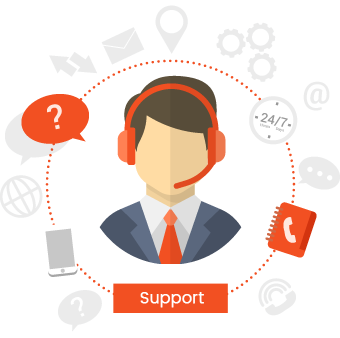 These simple steps will lead your website to the other level. 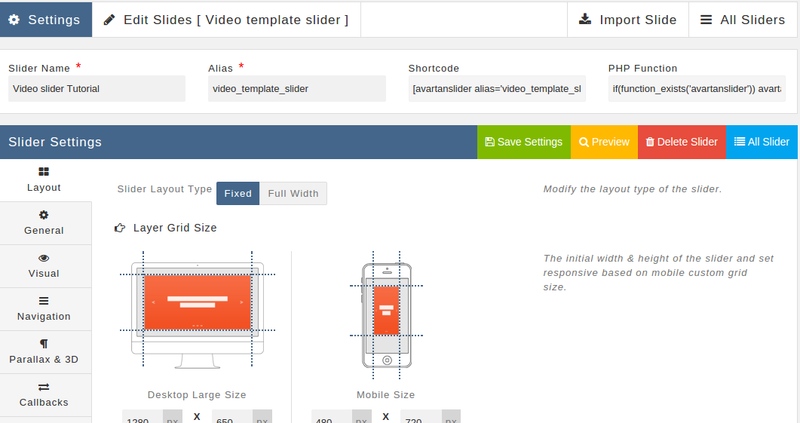 We hope that this tutorial has helped you to create a simple responsive video slider in WordPress. You can check other features of Avartan slider such as text overlay, image animation and much more. 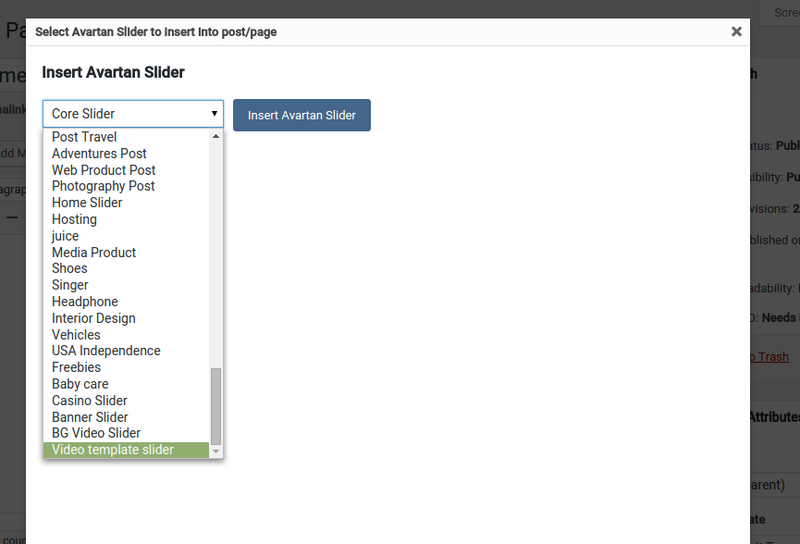 You should also check other WordPress plugins that are equally epic to Avartan slider. If you like this tutorial, don’t forget to follow us on Facebook and Twitter for free WordPress guides and plugins or theme updates and resources.